Conclusion: Below we use two company-specific data points to illustrate further confirmation of the broader macro theme we authored at the start of the year: Growth Slows as Inflation Accelerates. 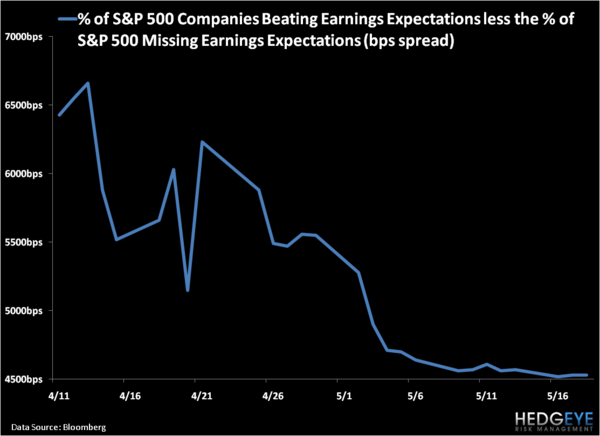 In addition, we dive into why earnings have disappointed recently and why we expect this trend to continue. Position: Short US Equities (SPY); Long a US Treasury Curve Flattener (FLAT); Long Long-Term Treasury Bonds (TLT). A couple of weeks ago, MCD beat EPS estimates largely due to an acceleration of comparable store sales, which accelerated on both a one-year and two-year basis. While topline accelerations of this kind are nothing to scoff at, careful analysis by long-time industry veteran Howard Penney (Hedgeye’s Managing Director of Restaurants) shows that roughly 2/3rds of the reported comp acceleration was due to price increases. As such, we question how sustainable such topline growth is over the intermediate-term – a topic we dive into in greater detail below. Trading down roughly (-15%) today, SPLS is the latest poster child for a) why you should never take a corporate CFO’s word for it at the peak or trough of the economic cycle; and b) why financial engineering such as share repurchases and off-balance sheet activity is not a reliable substitute for sustainable earnings growth (we’re short JCP in the Virtual Portfolio as way to express components of this thesis). The company took down its full year EPS guidance by (-10%) and revised down its comp projection to “low single digits” from “low-to-mid single digits” on a downwardly revised economic forecast of “very little improvement in the economy”. 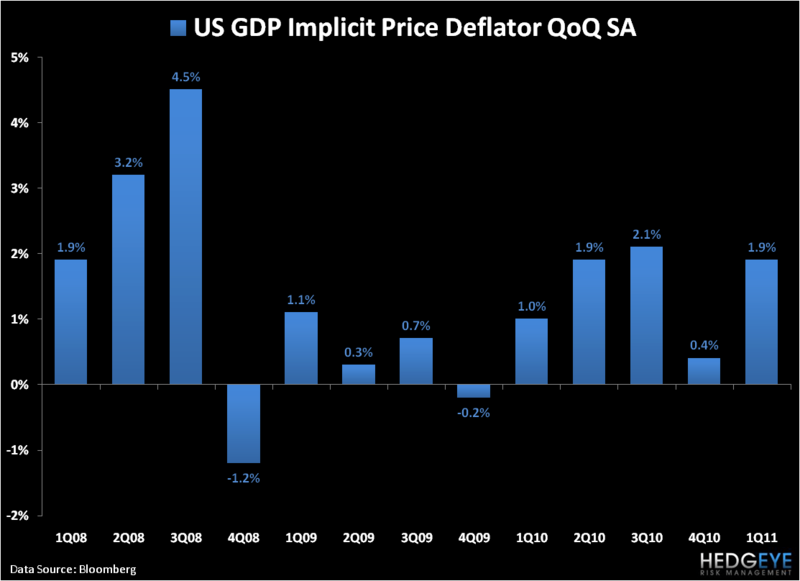 While almost trivial, we think it’s important to remind everyone that Real GDP is adjusted for inflation via the GDP Price Deflator. In 1Q11, a +150bps acceleration in this index helped slow growth to a paltry +1.8% QoQ SAAR vs. +3.1% in 4Q11. Though we’ve seen some pullback in commodities prices as the Great Inflation Trade has started to unwind (Hedge Fund exposure to commodities dropped -15% wk/wk last week), we can be sure that prices on a reported basis will remain both sticky and elevated – at least for the next several months. On a real-adjusted basis, that’s not bullish for reported growth. 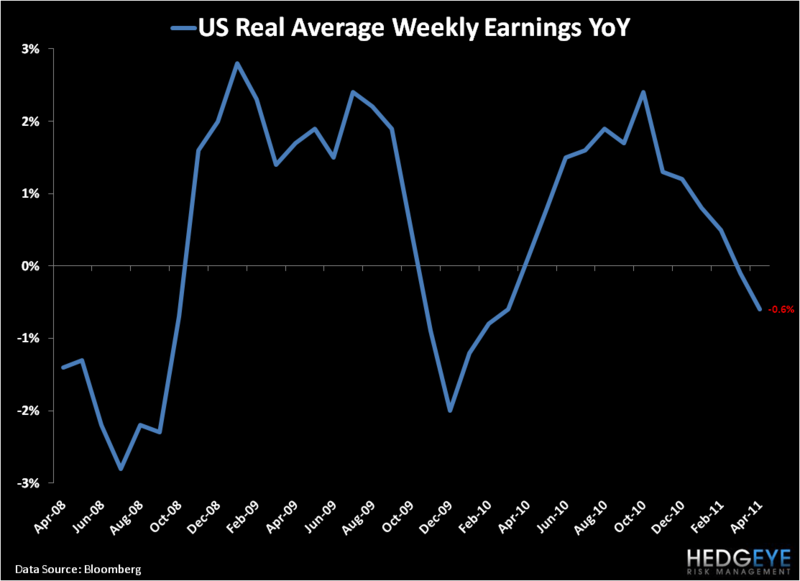 While earnings do indeed remain the mother’s milk of the stock market, one has to be concerned with the prospect of companies en masse passing through costs increases to a jobless consumer struggling to find any semblance of wage growth. While it’s true the market isn’t solely consumer facing, one cannot completely rule out the impact of consumer trends on the overall economy (70% of US GDP is household consumption). 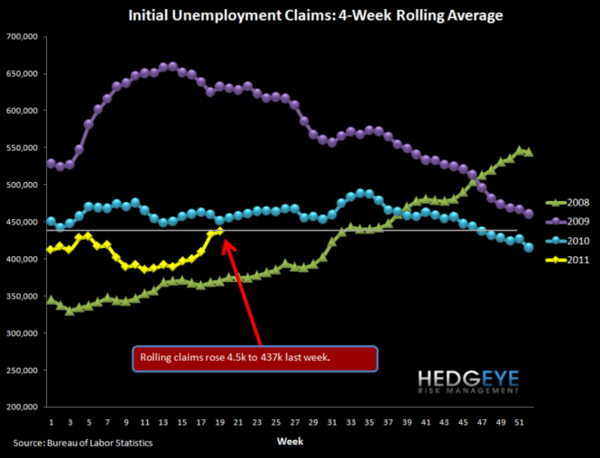 Misguided talk about “manufacturing” and “exports” aside, as the consumer goes, so goes the US economy. As such, we confidently contend the consumer matters to earnings at large. While the US economy has indeed proven itself quite resilient over the last 230+ years, relative to intermediate-term consensus expectations of +3.3% GDP growth for 2Q and 3Q, our Centrally Planned equity market certainly isn’t resilient enough to handle the impact of Homeless Jobless Stagflation on corporate earnings – particularly as the life support otherwise known as QE2 is removed in six weeks. 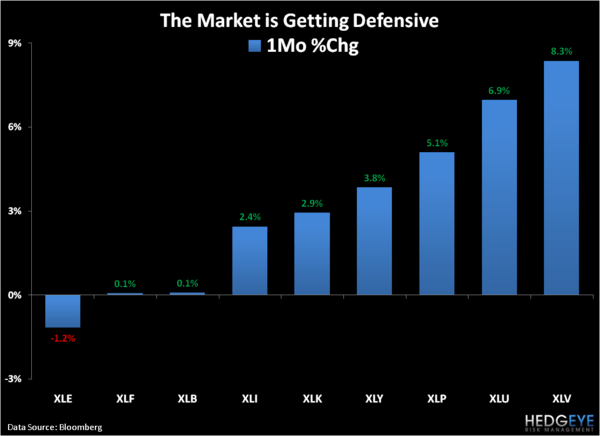 We’re short the SPY in anticipation of the equity market’s multiple eventually reflecting economic reality, as opposed to the storytelling of the CFOs of cyclical companies talking bullishly about peak earnings in the rear view at the top of the economic cycle. 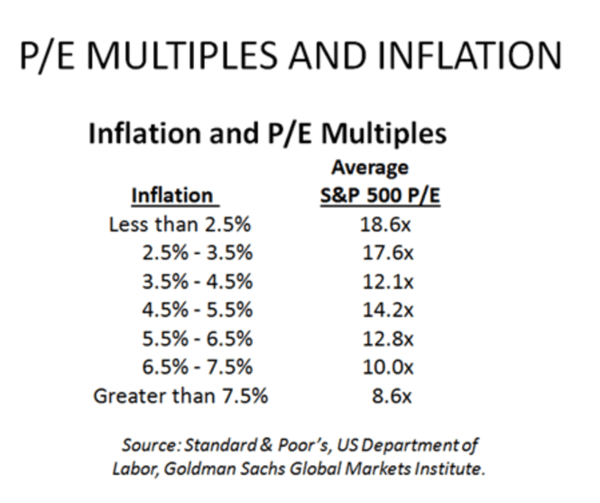 Interestingly, as Headline Inflation is set to breakout to the upside in the coming months, the price investors are willing to pay for said earnings should begin to breakdown (see table below). The recent beta-shift down into defensive sectors such as Healthcare, Utilities, and Consumer Staples, as well as long-term bonds busting a move out to the upside are not confirming the widespread optimism over the US economy on a go-forward basis. 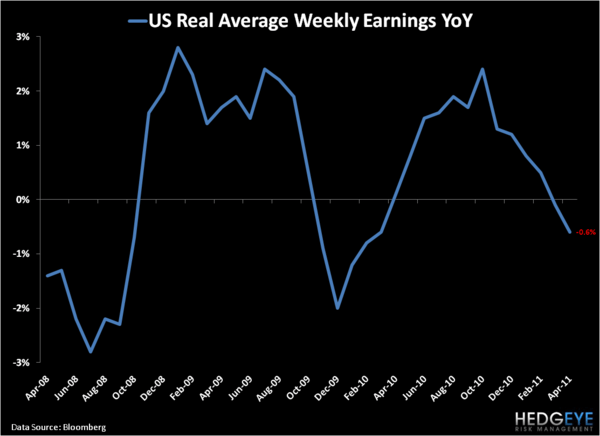 Earnings will disappoint – perhaps materially – in the coming quarters. 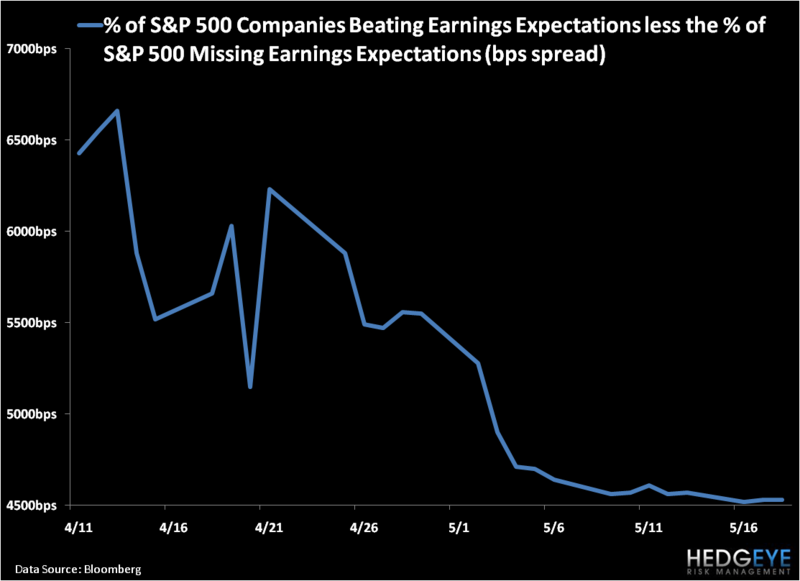 In fact, as measured by the spread between the Percentage of S&P 500 Companies Beating Bloomberg Consensus Estimates and those Missing Expectations, earnings have already started to disappoint and we see this trend continuing. 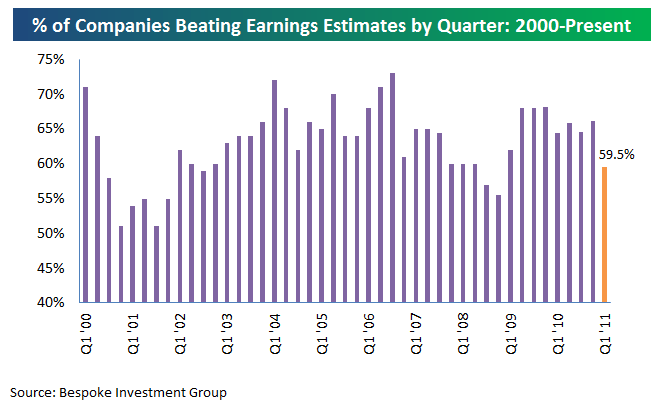 A Bespoke Investment Group analysis of earnings trends throughout the broader economy tells the same tale of deterioration, with the “beat” ratio of the 2,132 companies they track falling (-700bps) QoQ to 59.5% in 1Q11.